Responding to space and time PAO and PI will integrate themselves into the working logic of the Kunsthavn environment. 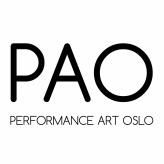 Oslo Kunsthavn initiates non-commercial exhibitions one evening every first Thursday of the month. Founded and run by Lars Nordby and Mira Zahl, 2013. PI (The Performance Inquisition Oslo) is a platform for discussion and action within the field of expanded performance in visual art. PI was established in 2013 by students at Kunstakademiet i Oslo.